An assembled Phoebe is about 22" long. 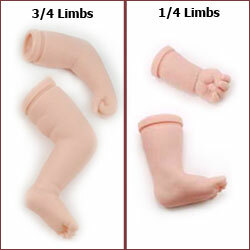 Phoebe comes in Secrist's own special baby-soft vinyl that is translucent just like a real baby's skin. 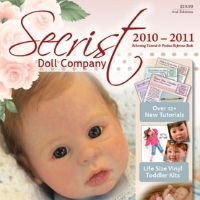 Secrist's vinyl was designed specifically for reborners and is preferred by reborners world wide. 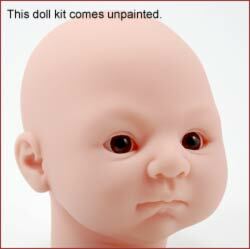 For $32.95 you get a blank and unpainted Phoebe head. Make it a complete kit by checking the options you prefer above. 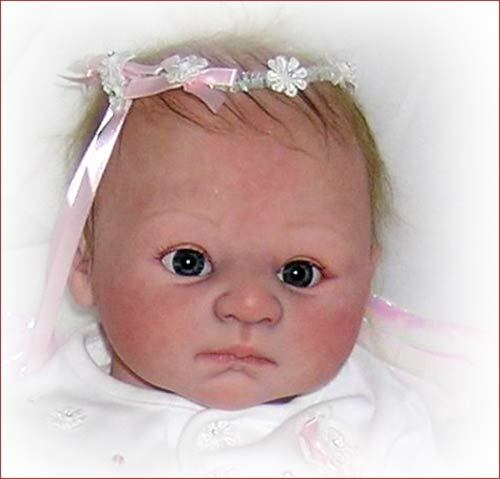 Order eyes with your doll and Secrist will insert them for you!